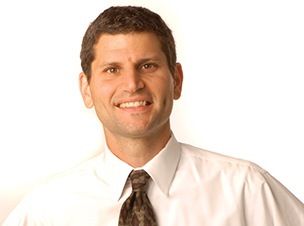 Professor Liebmann teaches ethics and serves as Director of Hofstra’s Clinical Programs. His advocacy and scholarship has focuses primarily on issues related to immigration, ethics, and the representation of children and youth. Professor Liebmann has directed the Youth Advocacy Clinic at Hofstra Law School since its inception. In his capacity as Attorney-in-Charge of the Clinic, he works with law students to advocate on behalf of youth involved in the immigration and family court legal systems. Professor Liebmann and his students have represented hundreds of immigrant children in dependency and guardianship cases in family and appellate courts, as well as in deportation cases in federal immigration courts. Professor Liebmann currently serves as the co-chair of the New York State Advisory Council on Immigration Issues in Family Court with Judge Ruben Martino, Supervising Judge for Bronx County Family Court. The Advisory Council was formed by Chief Administrative Judge Lawrence Marks in October 2015 to provide guidance to the bench, bar, and litigants, on immigration issues that arise in family court. The Council has issued statewide guidance related to Special Immigrant Juvenile Status, a form of immigration relief for immigrant children who have been subjected to abuse, neglect, abandonment or similar family crises; U-Visas, a pathway to lawful status for victims of crimes who cooperate with courts and other government agencies; and the adverse immigration consequences to a variety of family court orders and adjudications. Professor Liebmann regularly conducts trainings on ethical issues and on the overlap of immigration matters and family court proceedings. He also serves as Director of the National Institute for Trial Advocacy’s Training the Lawyer to Represent the Whole Family program, a yearly week-long trial skills program for lawyers working in family courts. He is on the editorial board of the Family Court Review and serves as a Special Advisor to the American Bar Association Commission on Youth at Risk. Professor Liebmann has written law review articles and legal journal columns on the overlap between child welfare and immigration law, the impact of family law legal standards on the physical and emotional well-being of youth and children, and ethical problems in the representation of children. Prior to his current position at Hofstra, Professor Liebmann was a lawyer for children in dependency and juvenile delinquency cases at the Manhattan office of the Legal Aid Society’s Juvenile Rights Division, an investigator at the New York City Commission on Human Rights, and a Community Worker at the Neighborhood Defender Service of Harlem.